The 4 Step Loudspeaker Diagram Design for PowerPoint is an incredible graphic presentation of megaphone. The loudspeaker is a metaphor of a public announcements, spreading the ideas about technology and better communication strategies. 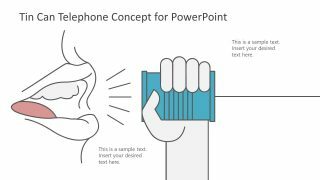 The megaphone illustration is a set of shapes making a creative 4 step diagram. This is a simple slide template of loudspeaker diagram design to present 4 stages of the concept. For example, explaining the steps which may involve in the running of an upcoming advertisement. 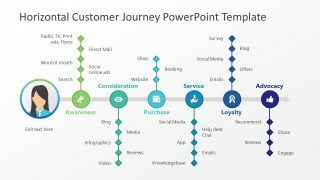 This PowerPoint diagram is ideal to display sales and marketing information such as, promotional ads, product sales and social medial. Similarly, the service provider companies can feature the upgrades, quality improvements and ventures. 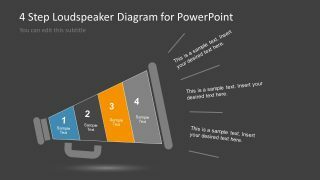 The 4 Step Loudspeaker Diagram Design for PowerPoint contains flat design vector graphics. It helps display the useful information and keep the audience interested in the interactive content. 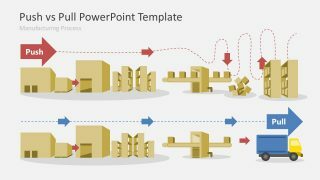 The PowerPoint template has two slides of 4 step loudspeaker diagram design of assorting background colors. The white and black background aids as an option to choose right shade of color for the original presentation’s theme. Further, the text placeholder in the PowerPoint are position as the sound waves from megaphone icon. Therefore, these stages and design of placeholders can demonstrate the process and words to inspire and connect with viewers. 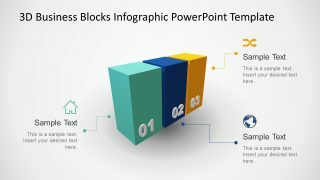 The announcement template of loudspeaker design is a unique 4 step business PowerPoint diagram. The presentation communicates goals for business and marketing with focus on topics relevant to news. Moreover, it illustrates the significant symbol of freedom of speech and personal opinions. 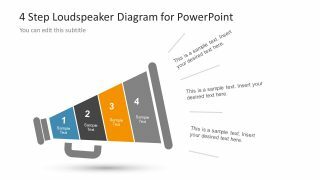 The 4 step loudspeaker diagram for PowerPoint is an editable template allowing various customizations like color, resize add effects. For example, select each of 4 steps of megaphone in diagram and add color gradient effect to display the transition. To do so, select the gradient option from shape fill in format menu. Also, see the Mike clipart PowerPoint of megaphone as businessman communicating message across.